A Beautiful Kind of Broken is a good addition to the plethora of books on spiritual guidance. Author Luke Holter really covers how to forgive others in a way that is easy to understand and apply. He writes quite candidly about religions that point fingers at people who are not members of that faith, and how a person trying to regain his/her faith must not absorb this totally incorrect message. Wow! Holter also directs his message to people who are depressed or doubtful after being mislead and mishandled by a church or person who ministers in the name of religion. He himself has been through trials in his life and now shares with others how to climb back what he calls the "God-given destiny of an abundant and joyful life." Luke Holter has created a book that is easy to read, and although it's religious, it is not offensive. A Beautiful Kind of Broken is very attractively formatted and easy to read. There are questions at the end of each chapter that will let the reader think about what they have just read. 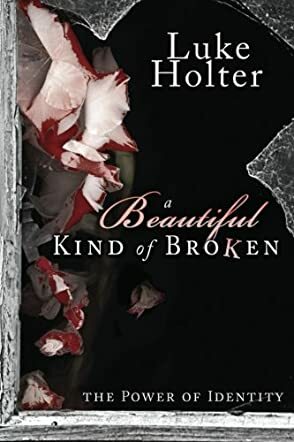 Holter writes that his purpose in writing this book is to "equip people with the tools for overcoming rejection and spiritual abuse." Because he has been through a very great deal personally, he writes convincingly. This book is for people of Christian faiths everywhere. People of other world faiths may not be interested in all the book's religious aspects, but they will appreciate the author's clear message on forgiving and moving forward.